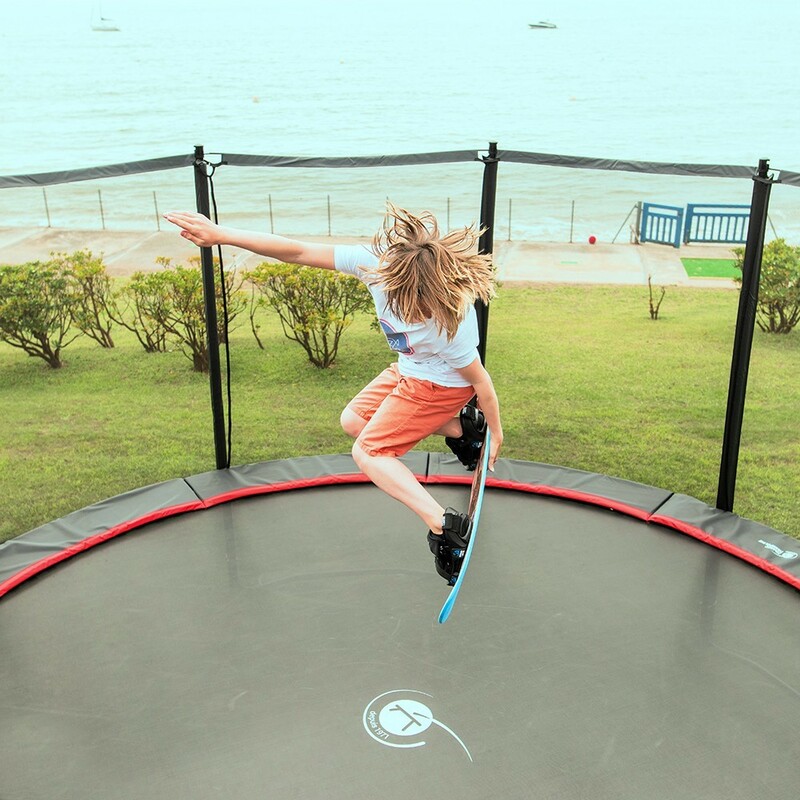 This product comes with a 1-year warranty. Questions? Please contact our customer service. 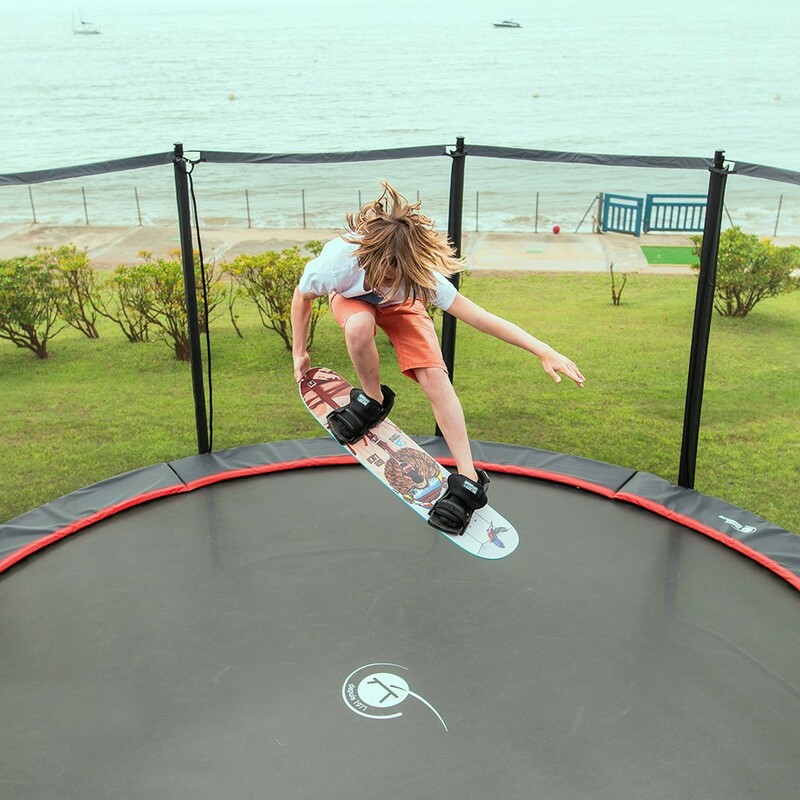 Using a trampoline helps build up muscle mass and allows snowboarders, skaters and even surfers to train all year round. 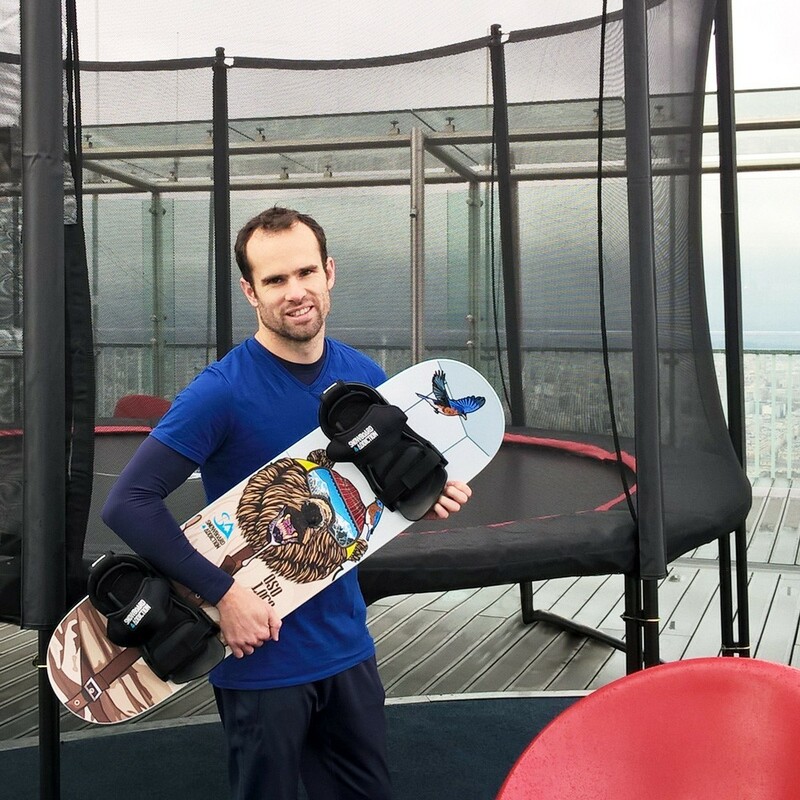 This board is easy to use and efficient for safe training seesions all year round. 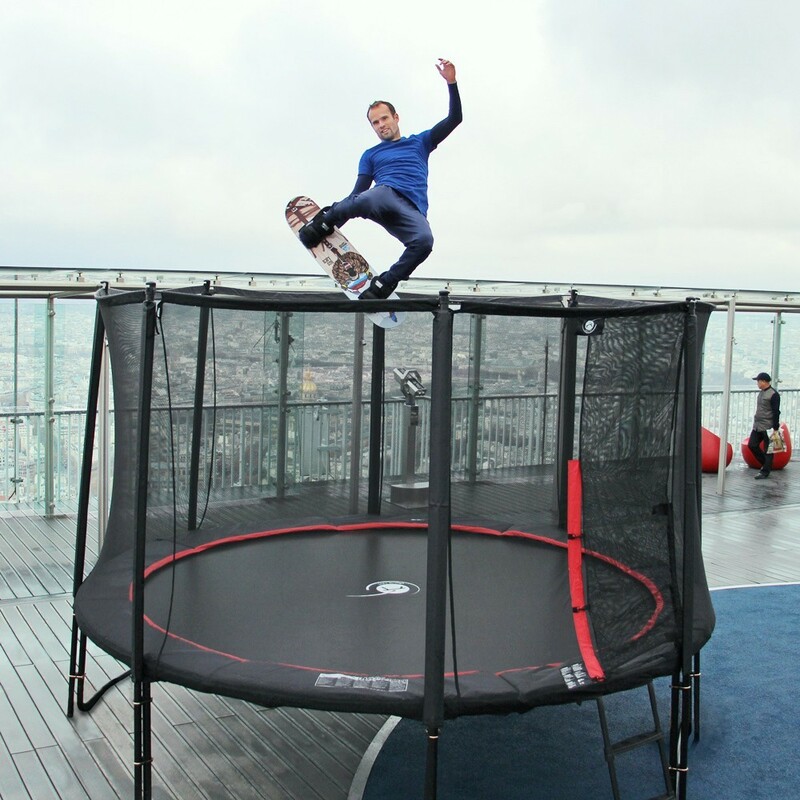 Whether you are a seasoned profesional or a home use owner, always use a trampoline with a safety net. 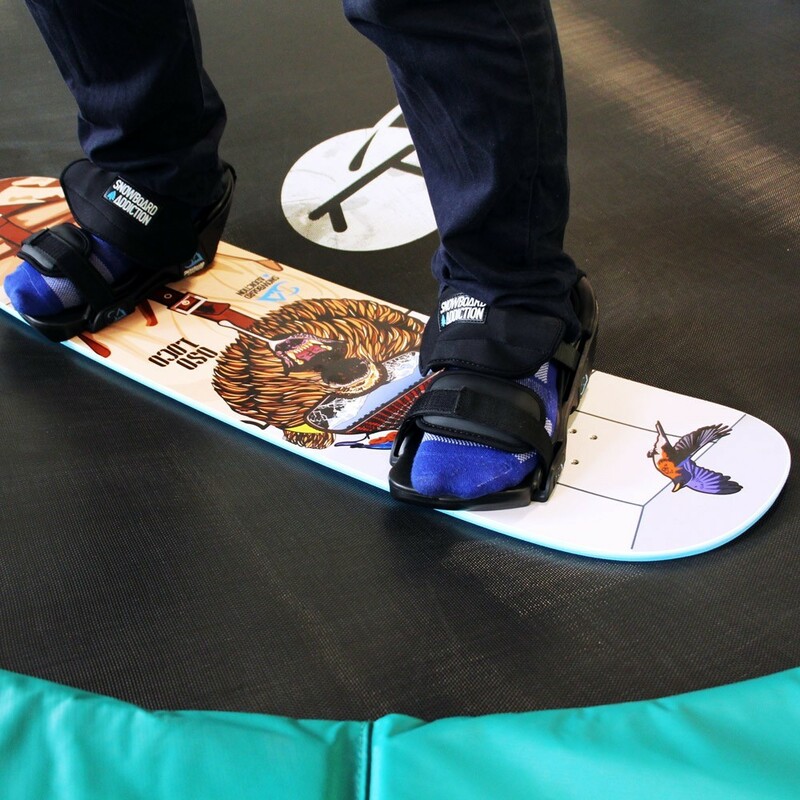 We invite all recreational professionals or trampoline park owners to use this new accessory! 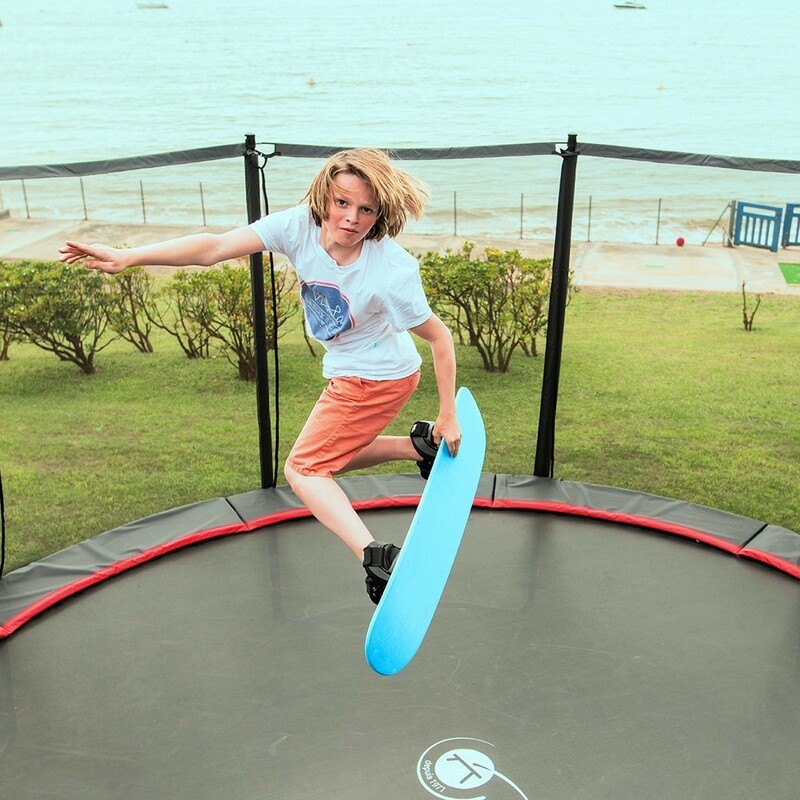 The board can be used with shoes, socks or bare foot. 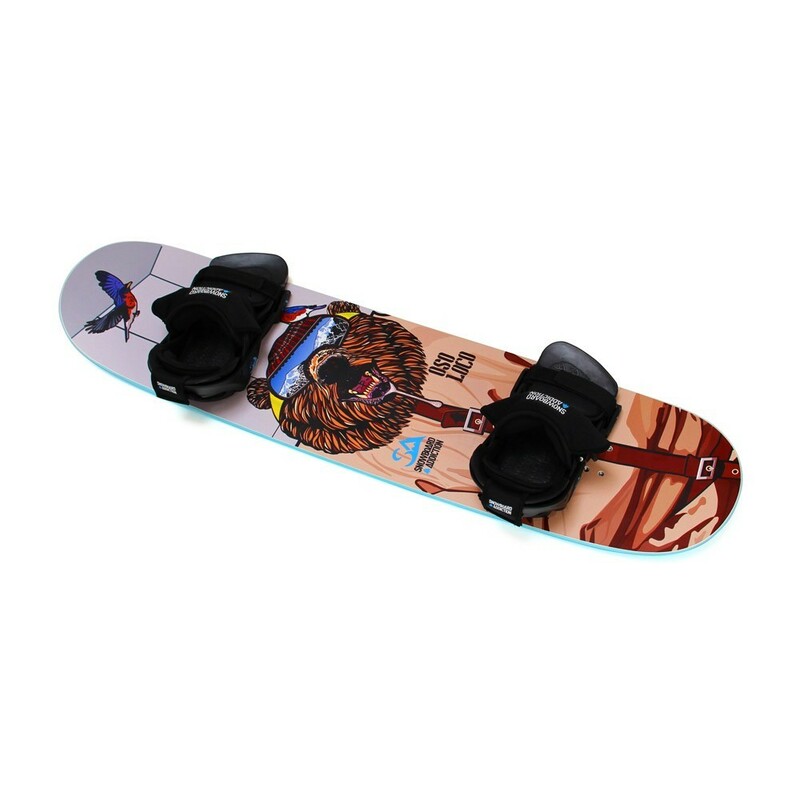 The board is made from poplar wood, like on tradtional snowboards. 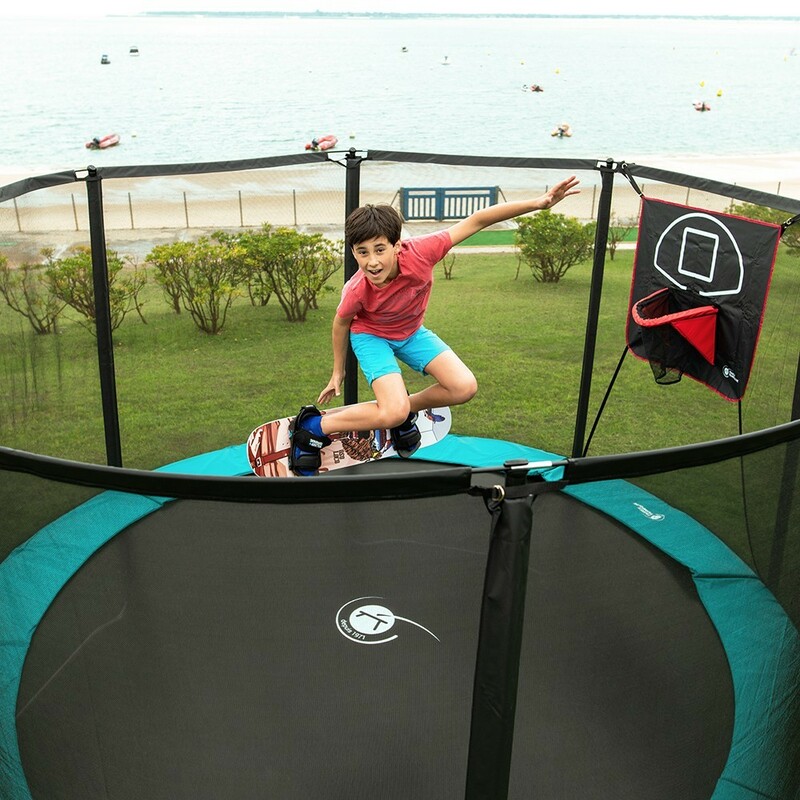 A centimeter thick layer of high-density foam has been added on the bottom of the board for better grip and exclusive use on a trampoline. 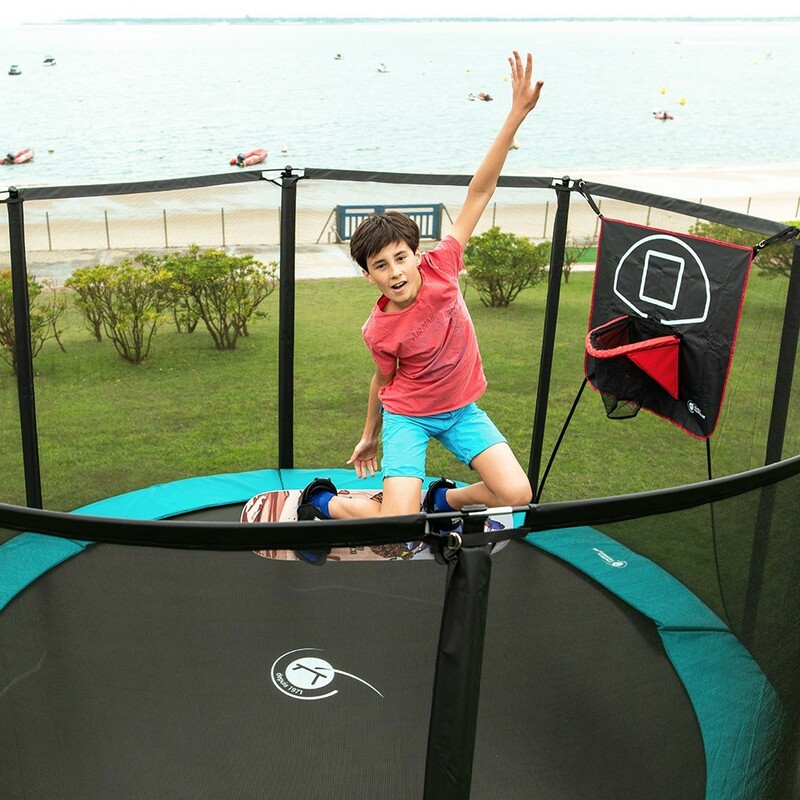 Its rounded sides and design without metal will preserve the trampoline jumping mat and frame pads. 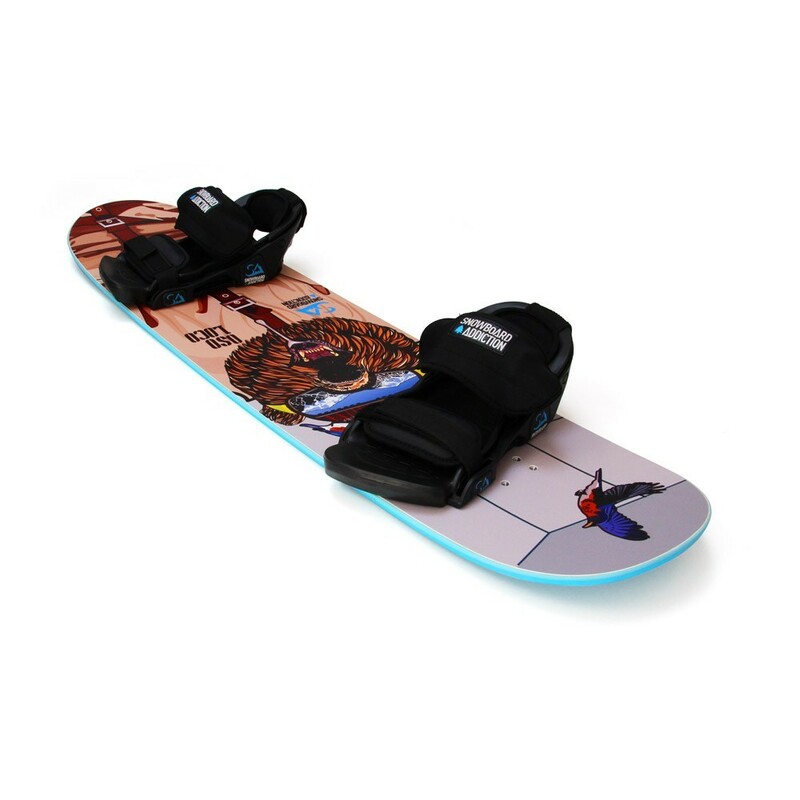 The board is sold with the fixings made from high-density plastic adapted to all foot sizes. 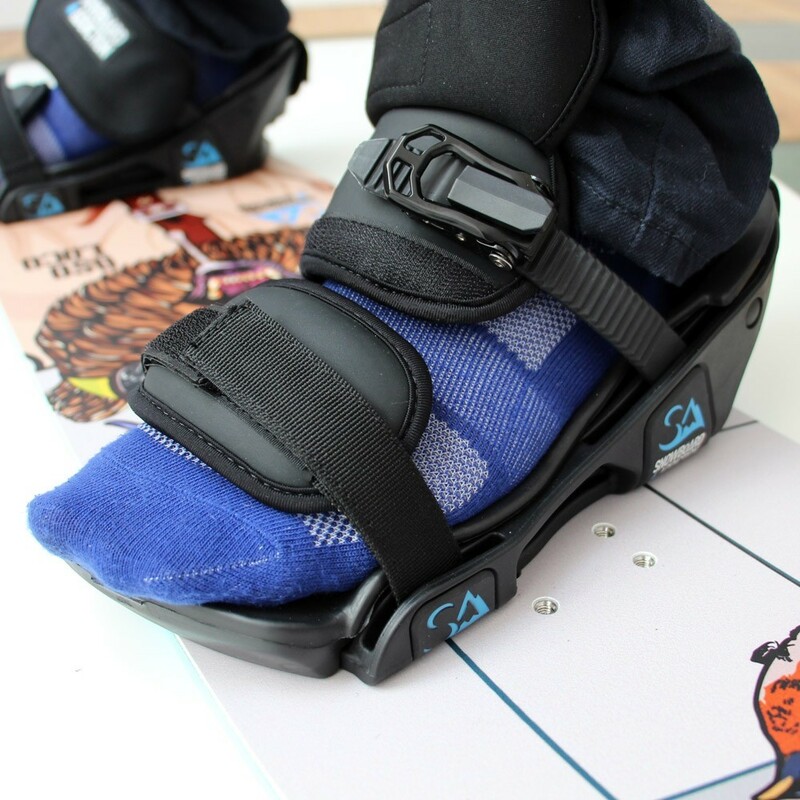 Gel padding has been added around th foot, toe and heal areas. 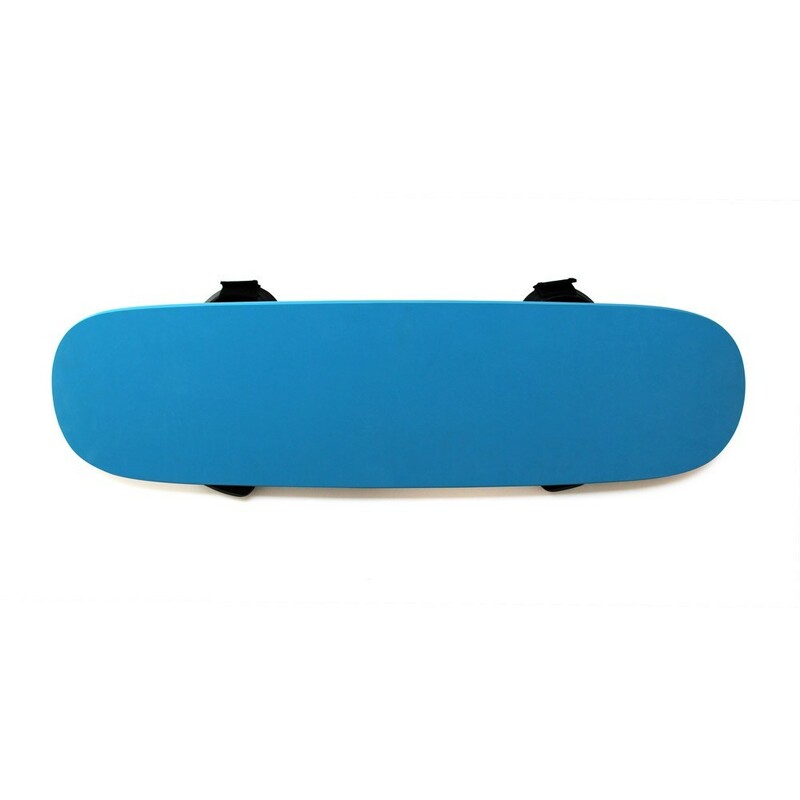 This padding is inside the fixing for extra comfort. 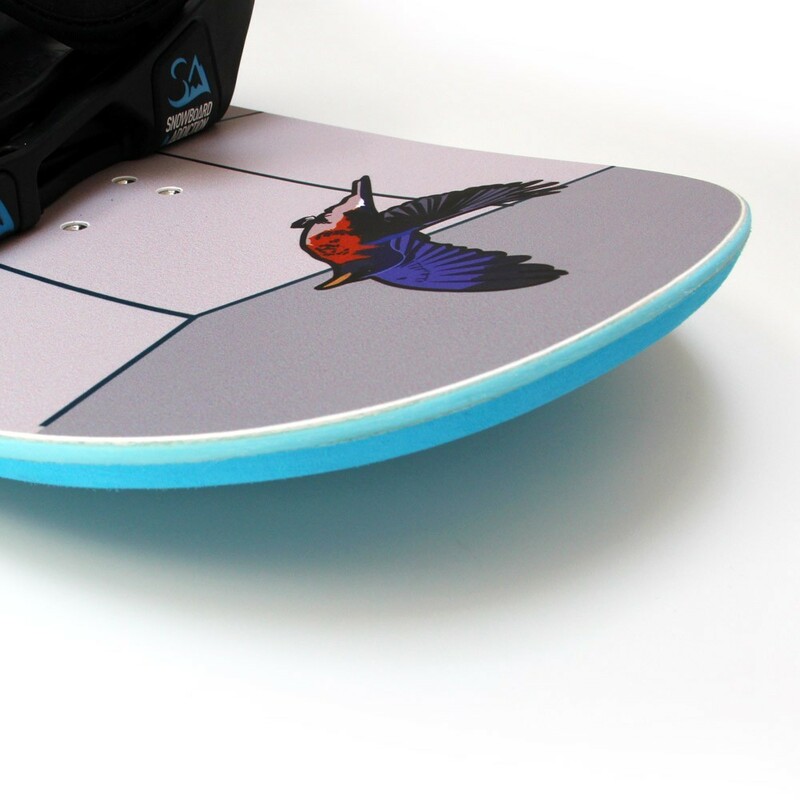 Set up your fixings to fit your stance, thanks to the 4 holeson each side of the board. 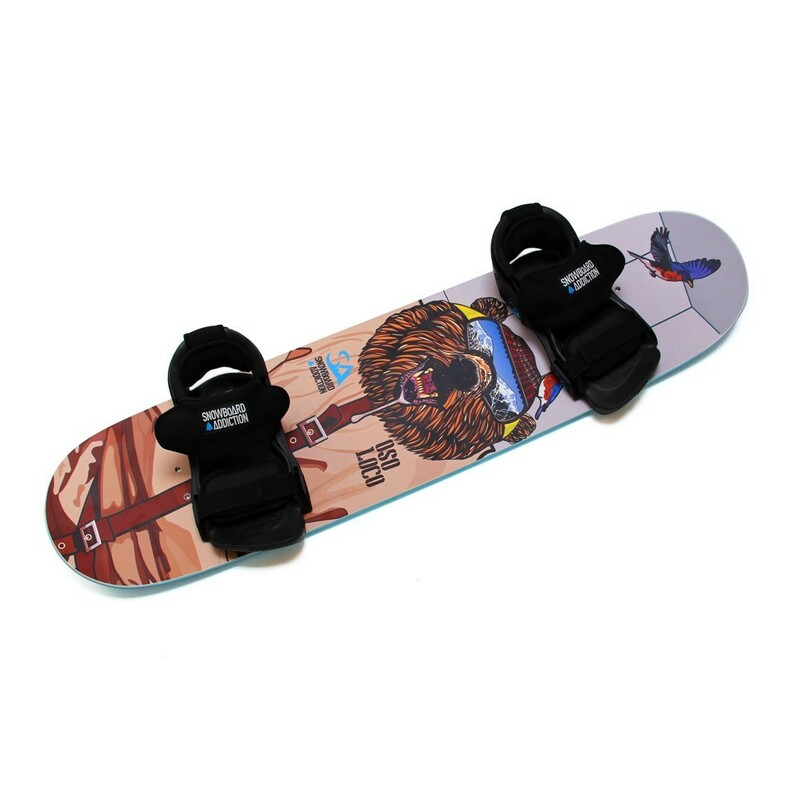 Stance is between 45 and 61 cm. 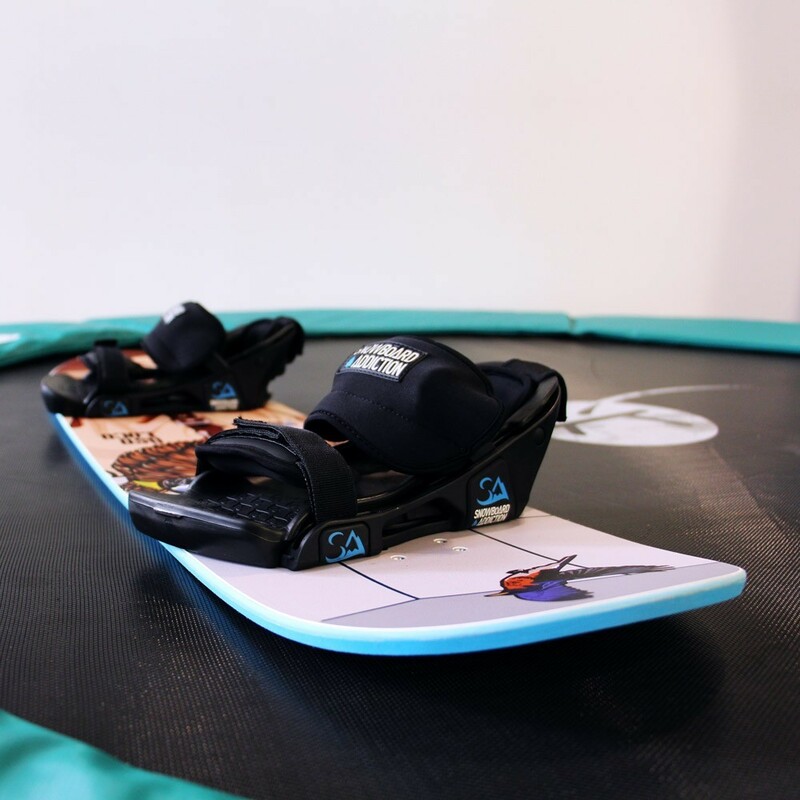 This poplar-wood freestyle Pro board was designed and adapted to allow users to practice on their trampoline year-round. 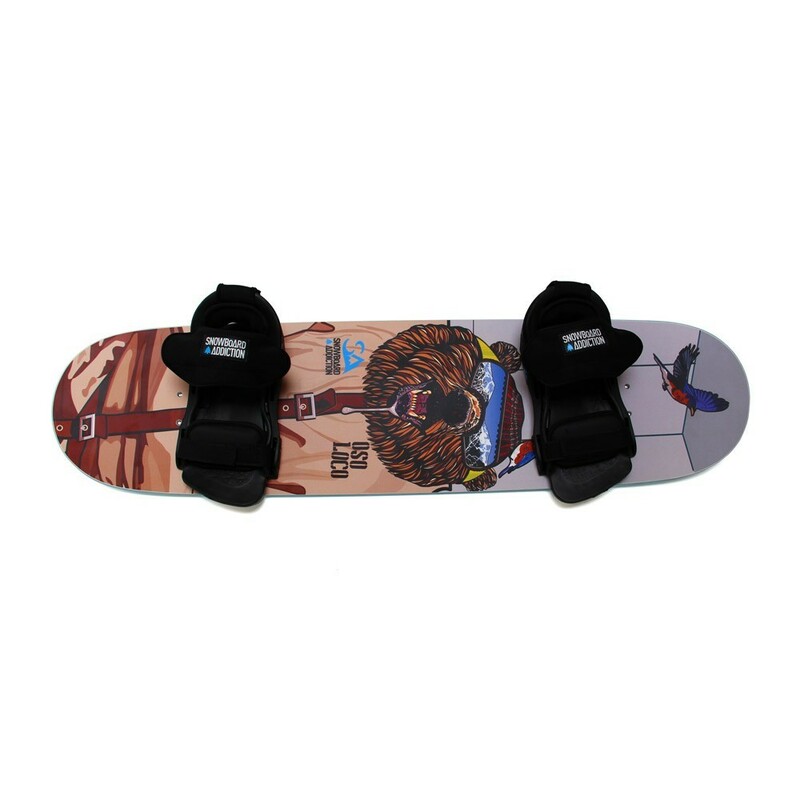 The high-quality bindings on this board guarantee sensations that are close to those experienced when snowboarding on the slopes. 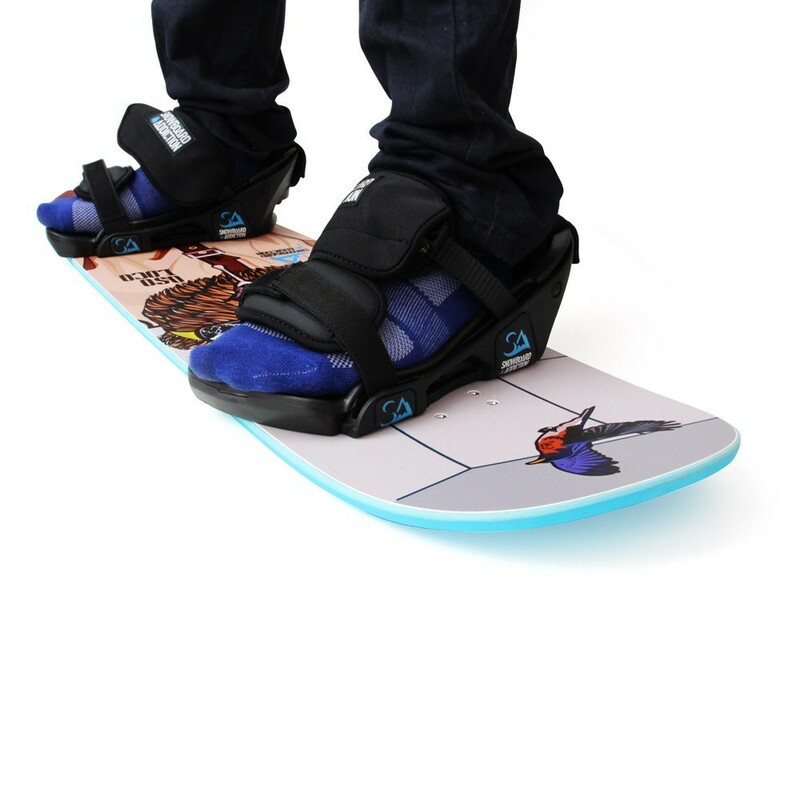 The universal binding system will allow you to practice your snowboarding techniques and figures safely. 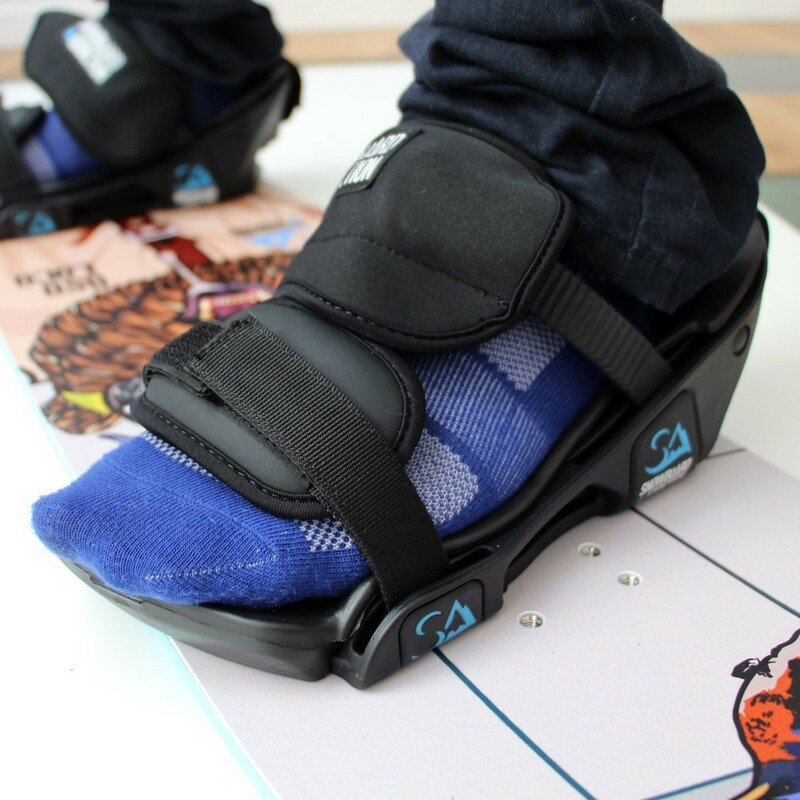 Ultra-comfortables thanks to their gel padding around the ankles, toes and heels, they are available in sizes 36 - 43.